Wow, we have a fun sketch this week for the Create with Connie and Mary Challenge! 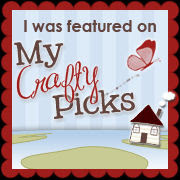 It's a perfect layout for showcasing some of your stamps! I used a combination of Black, White and Strawberry Slush for my card... I love that combination!! The patterned DSP is from the Back to Black collection and it has some great prints in it! This particular print works quite well with the new set, A Happy Hooray, which looks to be quite a versatile set with its various words and images ... and it has a feather, which makes me happy as I was quite sad that my feather set retired in May. I colored the flower stamp with markers (the colors match better IRL), stamped it then punched it out with the Scallop Punch, which echoes the scallops down the side of the top layer. I stamped a couple more flowers, cut them out and adhered them with Dimensionals. The "hello" is from A Dozen Thoughts greetings set. Stamps: A Happy Hooray, A Dozen Thoughts. Accessories: Polka Dot TIEF, 1-3/4" Scallop Punch, Scallop Edge Punch, Basic Rhinestones. 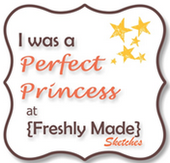 Now it's your turn to show us what you can do with this sketch! 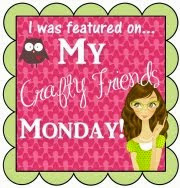 Go to Create with Connie and Mary, check out the challenge guidelines then upload your card there! We'd love to see what you make! While you're there, check out the cards the other designers have made with this sketch! Thanks for visiting! Hope you have a great day! Gorgeous! 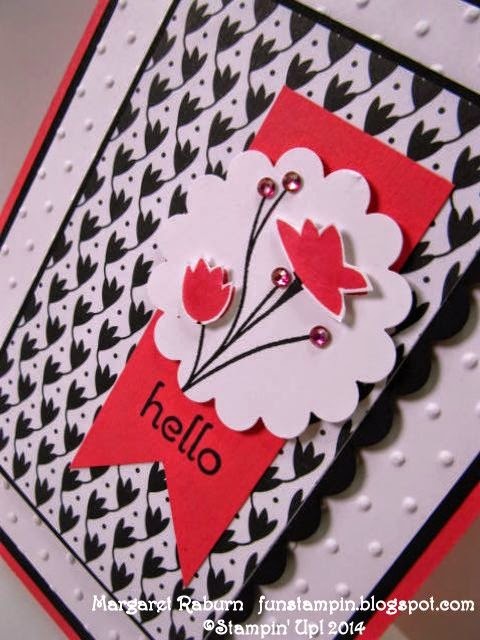 Love the stamped image you used and I love how you popped up those blooms! Beautiful card! The black and white with the pop of color is very striking! I love how you added some rhinestones to give it some bling. Really lovely card, Margaret. 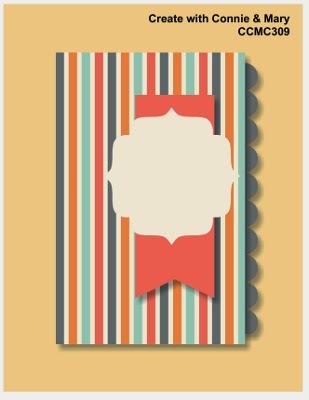 I have always loved black and white with a pop of color and this card is no exception! Love the cute floral image and how you fussy cut the flowers. Very pretty! 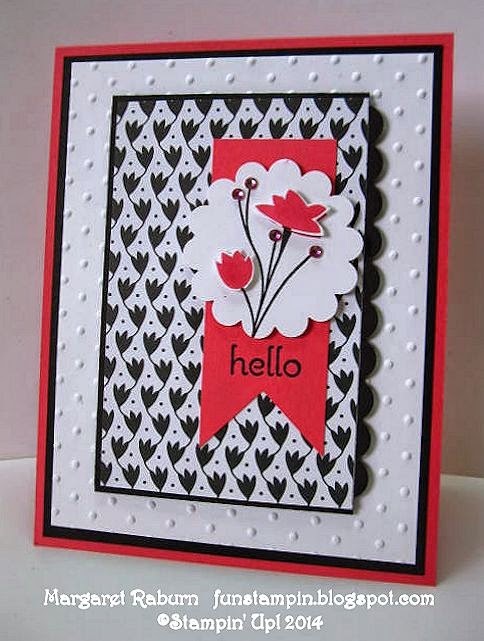 LOVE the colors and the classic look of your card with the black, white and red pops of color! Great take on the sketch this week! Simply gorgeous! You can't go wrong with the combination of Basic Black and Strawberry Slush...stunning! Love the vibrant combination of Basic Black and Strawwberry Slush when paired with the Whisper White - a knock-out!